Going from one place to another has never been simpler, for all you have to do is open the Uber app, type your destination, and click on “Find Ride.” That’s all. But have you ever wondered what goes on behind the scenes or the complex processes behind that simple click on the app that enables you to travel hassle-free? 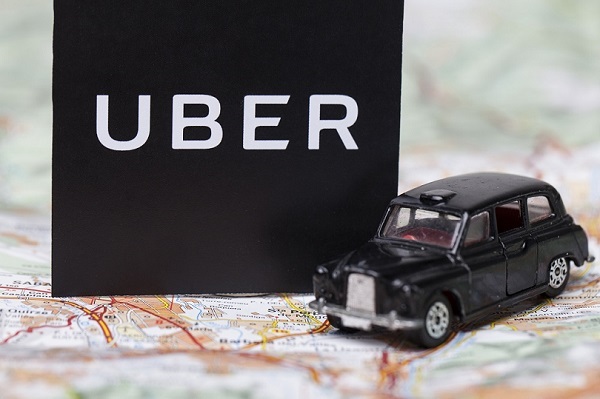 While you wait for your cab and forget all about it once you reach your destination, a team of data scientists at Uber works tirelessly to solve existing challenges, provide a better user experience, improve its geo-mapping, and research on driver-less cars. These curious souls use machine learning to not only improve your experience but also make their technologies learn to serve you better in the future. The need for Uber to really use deep learning is not superficial. A company solely based on an application to interact with its customers on one hand and drivers on the other hand, operating in such a dynamic and complex environment, and working on a million variables at the same time is driven by its necessity to stay smart using machinery – not just finite computation but also high-order intelligence problems through Artificial General Intelligence (AGI is the ability to think more and more like humans, getting smarter with every single exposure revealing more about people’s behavior). Every ride you book gives the Artificial Intelligence team at Uber an enormous amount of information about you – right from your preferred pick-up point to your most frequent destinations. Uber records your behavior, preferences, interests, and even your phone’s battery level. This helps them determine demand, the resources to allocate, and set fares to maximize profit. While sometimes the team would use data month to month, a larger set is required for a seasonal understanding of certain tasks that may go back years. A data expert’s idea is to collect data smartly and clean it to find relevance in it. But that isn’t everything the Artificial Intelligence team at Uber extracts in terms of information. They collect even more data from the drivers, irrespective of whether they are carrying passengers or not. Drivers’ speed and acceleration, their location, data on whether they work for a competitor (like Ola) is all possible to retrieve. The AI team then draws inferences from understanding traffic patterns, ETA, journey times, and surge pricing. Longer or shorter journey times give them the advantage of real-time pricing (remember the surge price that you see?). Data Scientists use predictive modelling in real time to estimate demand and execute informed pricing. Uber has even applied for a patent on this method of calculating “surge pricing”. Hotel chains and airlines also use dynamic pricing, in the same way, to meet demand and adjust prices, especially during public holidays, weekends, and popular events. The supply and demand analysis algorithms developed by the Artificial Intelligence team capture and monitor traffic conditions and journey duration in real time. As the demand for cabs changes, the pricing is adjusted in real-time. As the traffic conditions change, so do the journey ETAs. This is convenient for drivers as they can decide to proactively hit areas slated for higher demand and stay low when the demand drops. Data scientists build models using several map services like Google Maps. But a lot of information on those maps is either irrelevant or inaccurate (at least not accurate to the point they would like it to be). For example, if you visit the Ambience Mall in Gurgaon, a map would show you and the Uber driver that you have arrived at your destination while you could be almost 500 meters away from the gate you want to enter from. Data from a million trips enabled the team to offer pick/drop services to specific gates that may seem so basic to an end-user. More information that they retrieve is translating into enhanced mapping that tackles existing challenges and helps move to the next level. The Uber AI Labs at Pittsburgh is running experiments with autonomous cars, and it won’t be long before driverless cars become humdrum. By improving their mapping system with deep learning (meaning machines learn better with more exposure similar to how humans learn), scientists are taking us a tad bit faster into the future. The best part is that the machines are not only learning just once through algorithms but throughout the process of testing and implementation. As more trips are taken, as more models are built using Artificial Intelligence, the machines are getting smarter about handling unprecedented scenarios. Uber’s application of Artificial Inntelligence is not limited to just intelligent ride management or autonomous cars; it is also enabling force detection, which in simpler terms, is fraudulence detection so no one can book cabs with stolen credit cards or multiple accounts to avail discounts, etc. It also purchased Otto, a self-driving trucking company in August to take advantage of the AI wave and leave behind those using obsolete technologies.